Learn more about Ocala Horse Properties and Farm Land for sale in Ocala Florida area. The soil in Ocala FL is rich and fertile, which makes it perfect for farming. If you want to dedicate yourself to farming, there are plenty of horse properties for sale in Ocala FL. Ocala is know as the horse capital of the world, with so many farms for sale in the Ocala area from 1 acre to 100 acres. Equestrian in Ocala are some of the most beautiful in the state of Florida. Ocala is a beautiful agriculture and manufacturing center situated halfway between Orlando to the southeast and Gainesville to the North. Being home to tree lined streets and old southern style homes. Ocala has more resemblance to a Southern town than a traditional Florida beach town or city. Ocala is renowned as the horse capital of the world. It has many spacious Ocala Farm Land & Ocala horse properties for sale. 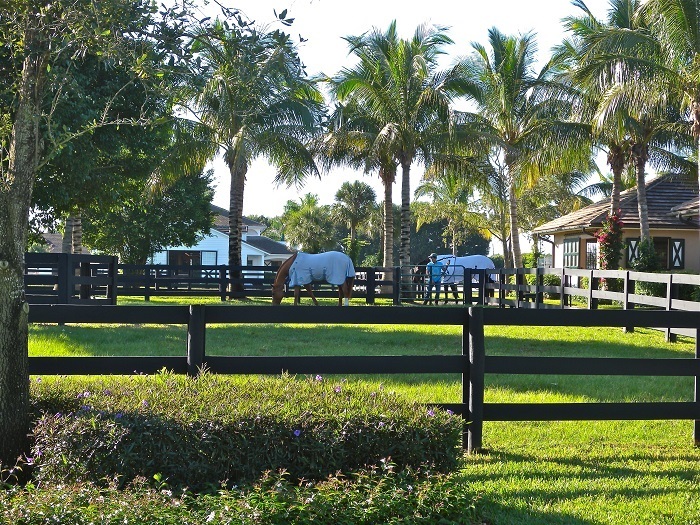 If you’re looking for Ocala Farms and Horse Properties for sale, you’re at the right place. Our website lists all Farms & horse properties for sale in Ocala FL listed on the My Florida MLS System. Before you’re ready to buy Ocala Farms & Horse Properties, you need to understand the dynamics of Ocala Farms and Horse Properties market. As the Ocala farming market is constantly changing, you need an in-depth knowledge of the history of the market. Which will help you understand the future trends to be able to make right investment decisions. With over 30 years of experience in the market, we can help you do it right. Many people consider the search for Ocala Farms Land or Horse Properties a daunting task because they have to choose between a scores of different properties in the area. Each having pros and cons of its own. They don’t even know where to start because everything seems so similar, it’s difficult to distinguish a good property from a bad one. This is why it is always advised that you undertake your journey of buying an Ocala Farm or Horse Property with an experienced team of real estate professionals. The Fred Franks Team is one of the leading experts of Ocala Farms & Horse Properties. Let us simplify your search and buying process for you, call us now to schedule a free consultation, we’ll help you find the best farm that suits your requirements. Are you thinking about selling your Ocala farm or Horse property? It can be a difficult decision to make, and even more difficult to it into action. One of the most difficult parts of selling a property is finding the right agent to get the job done; there are many agents available in the state that can help you sell your farm, look for one that reputed, experienced and most importantly one that cares about their clients. With over 20 years of experience and in-depth market knowledge and empathy towards our customers, we can help you in selling your Ocala Horse Properties or Ocala Farm Land to the right person at the right time at a good value for your money. We don’t believe in selling homes just by placing magazine ads, placing sign boards or listing property on our website. We don’t ignore those traditional marketing methods. Our team is involved in more modern and state-of the art promotional tools such as blogs, social media, and etc. We use our in-depth marketing knowledge to proactively sell your Ocala Horse Property and or Farm Land. Our clients are at the heart of our strategy, we want to facilitate you to sell your home in a timely fashion to the right buyer so you can move on with your plans. Contact us now or drop us an email to discuss the strategy for selling your Ocala Farm. If you’re fond of horses, you’re going to love Ocala. The majestic horse capital of the world is home to more than 1200 farms, and over 50 different horse breed. It’s an Eden for horse lovers offering everything that one could possibly want. The presence of these stallions has impacted the community significantly. Horse competitions are held all year round to enrich your weekends.Ocala is home to the Florida Horse Park which over 70,000 acres and has a 110-mile green way trail system. If you’re someone who loves to ride, start looking for Horse Properties for Sale in Ocala FL. There’s no other place in the country that offers such a rare combination of breathtaking scenery, good weather round the year, and so many services for horse care. It’s one of the best places in the world for horse lovers. Ocala is also rich in amenities it offers to its citizens. There is plenty to keep you happy and healthy in Ocala FL. If you’re in the mood for some entertainment head over to route 200. There you’ll find many diverse kinds of dining options and retail outlets. The Downtown, located only minutes away from Ocala Farms & Horse Properties for sale, is full of various boutiques and clothing outfits offering all kinds of dresses to suit the tastes of the growing population. There are plenty of restaurants and cafes to suit all kinds of tastes. Ocala is a heaven for horse lovers and nature lovers alike; it offers a relaxed southern lifestyle with all the amenities of a big city. Being the horse capital of the world, Ocala also hosts several events and horse races round the year; if you’d like to own a farm or a ranch, start looking into Ocala Farms & horse properties, it’s a perfect home for horse lovers. Call us now, let us help you find the place that you’re looking for.